Earlier, a book was all that was required for both learning and entertainment. But now people own smartphones, tablets, e-readers, and computers. Personal tech has transformed the way people consume media. Many people now prefer smart devices to read. And even students now use e-books and multimedia content for learning. But does that mean the future of printed books is bleak? Of course not. A good chunk of people will still choose a hard copy over an e-book any day. And textbooks continue to be an important part of students’ lives. All that authors now need to do is—tap into the obsession of readers with personal tech. A good and cost-effective way to do this is—QR Codes. QR Codes are 2D barcodes that store alphanumeric information. They are an excellent way to make people use their smartphones and connect them from offline media to online content. Users can scan QR Codes using a QR Code scanning application and view online content such as a website, a YouTube video, and a photo gallery. Teachers are already using QR Codes to engage students in the classroom. Students often look for videos to understand the concepts better. You can help them by adding a QR Code that redirects to explainer videos wherever possible. This use case is specially to help language students. Besides adding text pronunciations, you can also add audio pronunciations. Simply add an Audio QR Code that redirects students to listen to an audio file. You can also save printing cost by removing images of low importance. Add a QR Code instead. This QR Code can link to photo gallery of these images. This way, authors can ensure that important images are printed. And if students want more information, they can scan the QR Code to see supplementary images. For end-of-chapter problems, you can conceal the answers in a QR Code. You can either link a full-length answer with solution. Or simply add the final answer in a Text QR Code. People love seeing trailers be it for a movie or for a book. A trailer easily persuades them to look forward to the book. That’s what many authors are now doing to persuade people to buy their books. The book trailer of ‘As Dead As It Gets’ by Katie Alender has over five million views on Youtube. And that of ‘Scion of Ikshvaku’ by Amish Tripathi has over a million views. Imagine how many people were influenced to purchase these books by seeing the trailers. But how to show a trailer via your book? The answer is—by adding a Video QR Code on your book. As readers scan the QR Code, they’ll be redirected to watch the video on YouTube. Readers get a book either after a recommendation or after reading book reviews. And most of the readers read a review online. So what you can do is—help them find the reviews. You can add a QR Code at the end of the book that redirects readers to read reviews on Amazon or Goodreads. 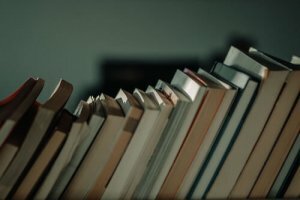 While you want readers to buy your books, you also want them to connect with you. If they follow you, they might buy your upcoming books too. Though you can’t add your complete profile on the book, you can add a QR Code that leads to your author profile. If you have one on Author Central or Goodreads, simply make a Website URL QR Code. In case you don’t, you can still add a QR Code that leads to your Social Media profiles where readers can follow you. Say someone has bought your book having 500 pages. You must make these 500 pages a little more interactive as you don’t want your readers to get bored mid-way. Instead of making readers use pen and paper, let them use their smartphones. Add a QR Code that leads them to an online form. They enter the data and immediately get scores. No need for them to calculate scores manually. And even you get the data to refine your research (with their permission of course). You write well. And sometimes you come up with epic lines. Such words deserve to be shared. And believe me readers love to do that. Though it’s easy to do it on an Amazon Kindle, it’s not the case with a book. So help your readers and add a Twitter QR Code to your books. They can easily scan it to share the quotes. They’ll get followers and so will you. Book lovers love to discuss books. That’s why book clubs exist. So help them to join a conversation about your book with other readers. 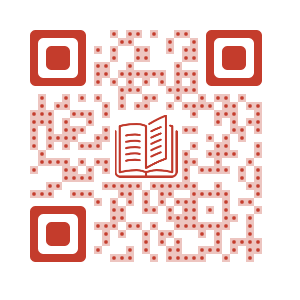 Add a QR Code on the last page of your book that leads readers to a discussion forum of your choice. The more the discussion, the better the chances of building a community of readers who like your books. Social media gives you another option to build community. Help your readers follow you on social media. Add a QR Code that leads to all your social media profiles. And let the readers choose their favorite social media to follow you. A lot of QR Codes can go in your books for a lot of use cases. Simply decide which ones matter the most to you. That’s all you need to know on how authors can use QR Codes in books to engage readers. Still have queries? Feel free to ask them in the comments.